How much will it cost to photograph my listing? Can you quote me an estimate? The exact amount will be calculated based on the duration of the shoot. We can provide a general estimate when you provide an address. See our pricing guide. What is the turnaround time? Can I get my photos sooner? The standard turnaround time is 24 hours, however under some circumstances it may be possible to rush the order. Please inquire at the time of scheduling if you need photos sooner than 24 hours. We carry a $1,000,000.00 general liability policy so you can be assured that any job I take you will be fully protected. A virtual tour typically refers to a way of displaying your listing with a slideshow of photos, room descriptions & music. Why do you charge by the hour, most other photographers charge by the job? We charge by the hour for most assignments because that is the most fair way to reward agents that have everything ready for photography & to discourage those who do not. We are a full service photographer that does not mind getting his hands dirty to help get the property looking its best for photos, but if you want the best price, have everything ready to go at my arrival time. See how to prepare your listing for photography HERE. Do I need to be present when you photograph my listing? It is not a requirement that the agent or owner be present for photography, as long as we have access to the property via a lockbox or hidden key. However, we find that it is helpful if there is anything specific or special features that you want highlighted to let me know. What is your service area, are there any travel fees? We service the entire greater Houston area including Conroe & Galveston. Travel fees will only apply under specific circumstances that are not common. We will let you know in advance of any extra fee for travel. 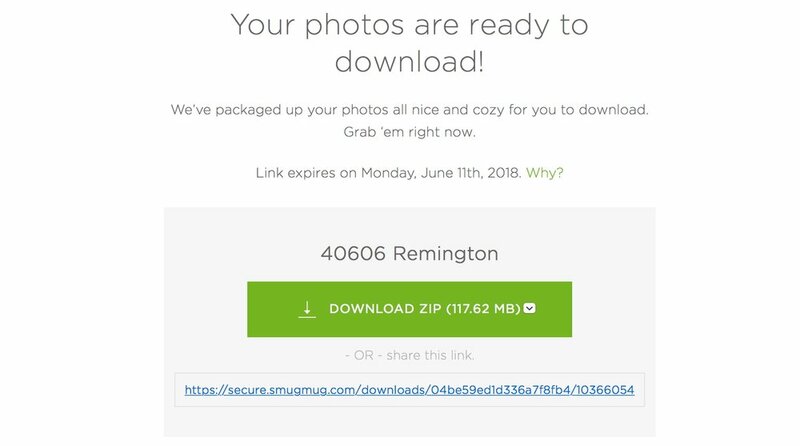 I just received the link to view my photos, how do I download them? There will be instructions for you in the email with the photo link. If you need more help, please see our walk-through towards the bottom of this page. How many photos will I get for my listing? The quantity of photos will vary by listing and services chosen. We generally strive to provide between 40-60 images on most single family homes so that you have some choices & can rotate in photos if you need to. What should I do to get my listing read for photos? What is the best time for photos? The best time for photos will vary based on property location & features that are most relevant for showcasing the home. Generally when the sun is directly overhead (around midday) is a safe time for most locations. If sunset (twilight) photos are needed, we will let you know the best time for photography based on the almanac. I need headshots for my business cards, is this something you do? Absolutely! We are great portrait photographers that can provide you with headshots for your website, business cards, and other literature. We have several standard backdrops to choose from as well as location shoots. Can you do drone/aerial photography for my listing? We have our commercial license to use small Unmanned Aircraft Systems to photograph your listing. We do our best to recommend this service when it would be advantageous to showcase the property. Please note that it is a REQUIREMENT for anyone attempting to use drones in the Real Estate industry to have their FAA - issued license. Always verify that anyone you hire has this license as it can be a very costly & legally complicated matter if there is an accident or if federal authorities discover an unlicensed flight. It is not worth the potential damages to your reputation or business to take these risks. What is an Agent/Broker showcase video? A showcase video is essentially a commercial that lasts up to several minutes to highlight the service area, specialties & any other information that you would like your clients & future clients to see. Via the Texas State Comptroller, all photography services must charge sales tax even if there are no "tangible products." I am using a stager, will you work with them to make my listing look better? Absolutely! Hiring a stager is one of the best things you can do to prep your listings, & will specifically show your client that you are doing everything to sell their house. We will move room to room with them making sure that everything is picture perfect! Will you get photos of neighborhood amenities, special features? By request we will capture specific locations or neighborhood features that will add value to your listing. Please provide the specific address & features that you would like covered. Note that some amenities such as pools are best to photograph while they are closed to protect the privacy of the patrons. When you click on the link provided to you via email, your listing gallery will appear in your web browser. Click on the 'Download All' button on the upper right hand corner of the screen, indicated here by a red star. Follow the instructions on the screen by entering your email address. Check your inbox & follow the instructions provided to download your photos. Ready to have your listing photographed?